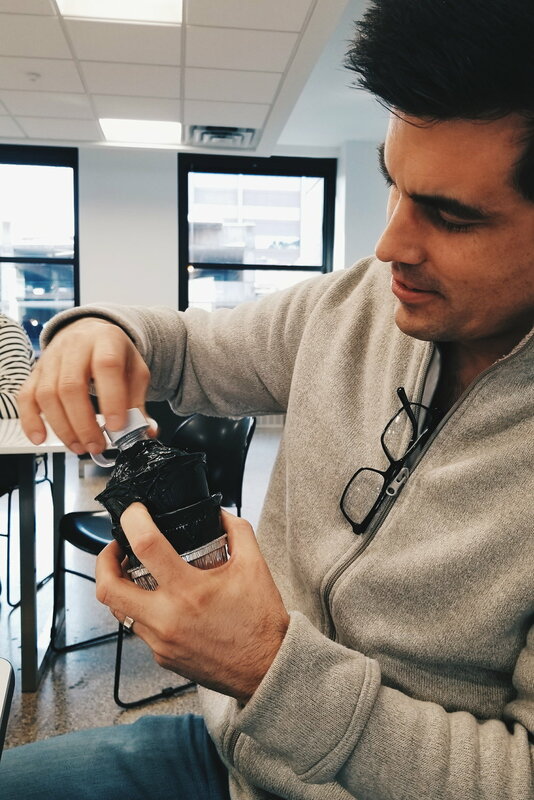 As a welcome gift, Prime Digital Academy provides a water bottle to its full-stack development students. The water bottle they typically provide, however, is no longer being manufactured; in addition, students have been disappointed in its generic qualities. Prime hired me to help them solve this problem. The final product was inspired by an inch worm. Observing the behavior of Full Stack Engineering students at Prime, three things stood out…. They commute to and from Prime everyday. They work with liquid sensitive equipment. At times, they have a lot to carry. Black Magic: Post important notes where you’ll see them, and never lose your keys again. Condensation: Let it do its work while you do yours. The Inch Worm: An expandable/collapsible design with space saving capabilities. It can minimize to easily fit in a backpack or bag and then expand to fill with water. Each design has a secure, looped cap to aid in transportation, be it hooking the bottle onto a bag or looping it through a single finger when a student's hands are full. In a vote, The Inch Worm design was deemed most appropriate, so it went on to be prototyped. A low-fidelity prototype of The Inch Worm was created at Leonardo's Basement. 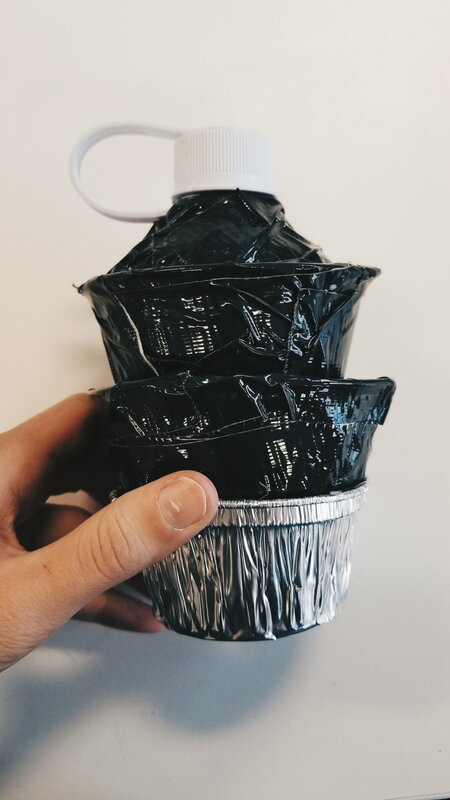 The prototype was then tested on Full-Stack Engineering students at Prime. The goal of the research was to learn how the expandable/collapsable design and looped cap reduce pain points of students associated with transportation and storage. Cognitive Walkthrough: users were asked to interact with the prototype; moving and touching it while explaining what they expected as a result. At this point, users are unaware of the features being tested (expandable/collapsable design and looped cap). Laddering: aside from holding water, questions were asked to find if product elements added a deeper, personal value to the students. This happens after the Cognitive Walkthrough, and users are made aware of the intended features. A full-stack engineering student interacting with the prototype during testing. It was clear after four student interviews that consequences associated with the low-fidelity prototype, such as the limited ability to expand and contract and a weak structure, made accurately testing the expandable/collapsable feature difficult. Users interpreted the shape-shifting nature of the design as unstable, and bobble-head-like. However, after students were told the intent of the expandable/collapsable design, they expressed interest in its space saving and transportation facilitating qualities as long as the design was structurally sound. Students enjoyed the looped cap, however, they found how it was attached to be a hinderance. Tightly looped cap got in people's face as they tried to drink. 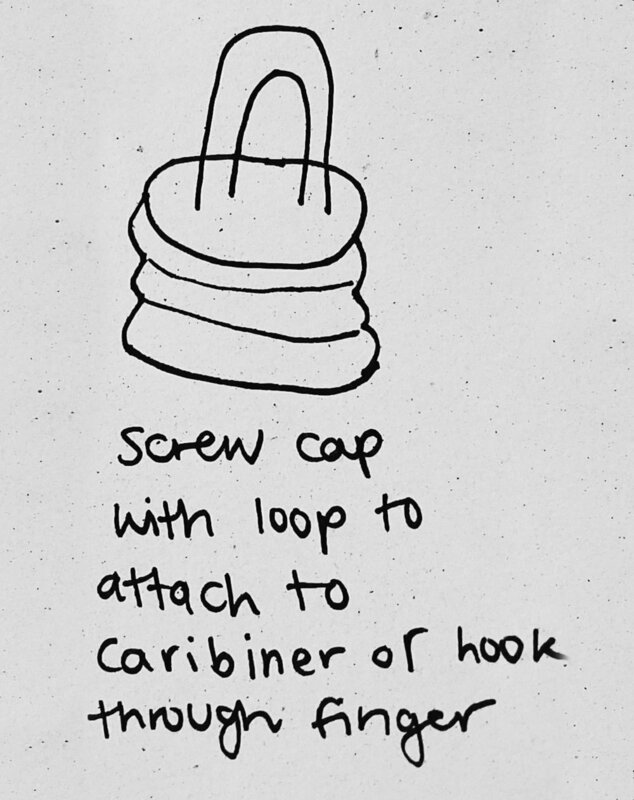 Suggested future design of looped cap. Since limitations of the low-fidelity prototype misled users from the ultimate objective of the research, I suggest creating a higher-fidelity prototype that more accurately portrays the expandable/collapsible and looped top features illustrated in the initial design concept.